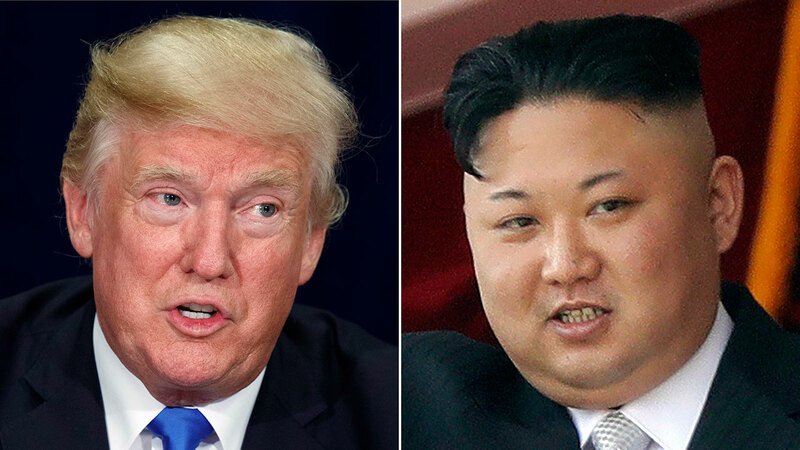 SEOUL, South Korea -- North Korean dictator Kim Jong Un and President Donald Trump plan to meet in May for nuclear disarmament talks, a whiplash development that would put two leaders who've repeatedly insulted, threatened and dismissed each other in the same room, possibly in the North Korean capital of Pyongyang. It would have been an unthinkable suggestion just a few months ago, when the insults were at their peak - Trump was a "senile dotard" and Kim was "Little Rocket Man" - and the North was snapping off regular weapons tests in a dogged march toward its goal of a viable nuclear arsenal that can threaten the U.S. mainland. And now the North has landed a face-to-face meeting with the leader of the world's most powerful country, a nation that Pyongyang has long sought to draw into talks that it hopes would establish a peace treaty to end the technically still-active Korean War and drive out all U.S. troops from the Korean Peninsula, removing what the North says is a hostile encirclement of its territory by Washington and Seoul. "Great progress being made," Trump tweeted after the South Korean national security director, Chung Eui-yong, emerged from a meeting with the U.S. president and announced the summit plans to reporters in a hastily called appearance on a White House driveway. North Korea still produces propaganda declaring its continuing dedication to the "treasured sword" of its nuclear program. Washington still remains publicly dedicated to annual war games with the South that the North claims are invasion rehearsal -they're expected to resume next month, after being postponed during the Winter Olympics in the South - and to keeping 28,500 troops in the South and 50,000 in Japan, largely as a way to deter North Korean aggression. Earlier Thursday, Chung briefed Trump and other top U.S. officials about the rare meeting the South Korean had with Kim in the North Korean capital. During that meeting, the rival Koreas agreed to hold a leadership summit in late April, the first in a decade. Kim "expressed his eagerness to meet President Trump as soon as possible," Chung told reporters. "President Trump appreciated the briefing and said he would meet Kim Jong Un by May to achieve permanent denuclearization." The White House said Trump's meeting with Kim would take place "at a place and time to be determined." Trump said that sanctions against the North will remain in place until there's a deal. Koh Yu-hwan, a North Korea expert at Seoul's Dongguk University, said that the Trump-Kim meeting's success could depend on whether the United States can accept a freeze of North Korean nuclear weapons, rather than a direct process to eliminate them.